How Does Heat Affect Magnets? Physics rarely feels more magical than when you first encounter a magnet as a kid. Getting a bar magnet in science class and trying – with all your might – to push it towards the matching pole of another magnet but being completely unable to, or leaving opposing poles close to each other but not touching so you can see them creep together and eventually join. You quickly learn that this behavior is a result of magnetism, but what really is magnetism? What’s the link between electricity and magnetism that allows electromagnets to work? Why wouldn’t you use a permanent magnet instead of an electromagnet in a metal scrap yard, for example? 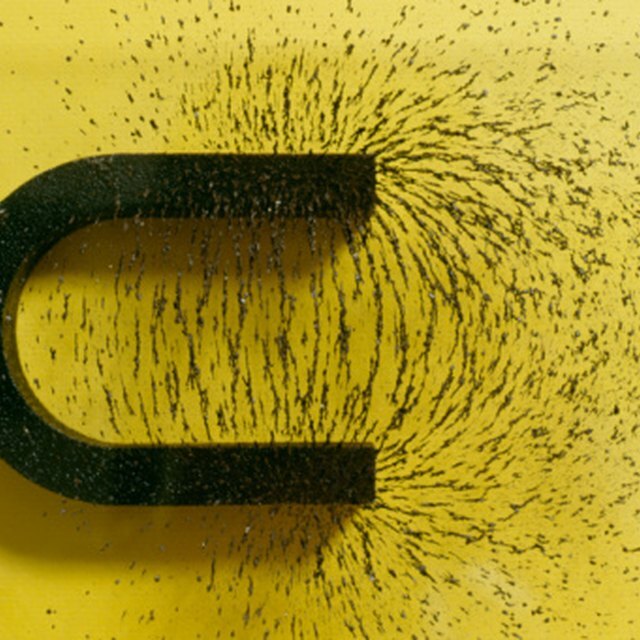 Magnetism is a fascinating and complicated topic, but if you just want to learn the properties of a magnet and the basics, it’s really easy to pick up. Magnetic behavior is ultimately caused by the motion of electrons. A moving electric charge generates a magnetic field, and – as you may expect – magnets and magnetic fields are intricately linked. Since an electron is a charged particle, its orbital motion around the nucleus of an atom creates a small magnetic field. Generally speaking, though, there are tons of electrons in a material, and the field created by one will be cancelled out by the field created by another, and there won’t be any magnetism from the material as a whole. Some materials work differently, though. The magnetic field created by one electron can affect the orientation of the field produced by neighboring electrons, and they become aligned. This produces what’s called a magnetic “domain” within the material, where all of the electrons have aligned magnetic fields. Materials that do this are called ferromagnetic, and at room temperature, only iron, nickel, cobalt and gadolinium are ferromagnetic. These are the materials than can become permanent magnets. The domains within a ferromagnetic material will all have random orientations; even though neighboring electrons align their fields together, other groups are likely to be aligned in a different direction. This leaves no magnetism on the large scale, because different domains cancel each other out just like the individual electrons do in other materials. However, if you apply an external magnetic field – by bringing a bar magnet close to the material, for example – the domains start to align. When all of the domains are aligned, the whole piece of material effectively contains a single domain and develops two poles, generally called north and south (although positive and negative may also be used). In ferromagnetic materials, this alignment continues even when the external field is removed, but in other types of material (paramagnetic materials), the magnetic properties are lost when the external field is removed. What Are the Properties of a Magnet? The defining properties of magnets are that they attract some materials and the opposite poles of other magnets, and repel like poles of other magnets. So if you have two permanent bar magnets, pushing two north (or south) poles together produces a repulsive force, which gets stronger the closer the two ends are brought together. If you bring two opposite poles together (a north and a south) there is an attractive force between them. The closer you bring them together, the stronger this force is. Ferromagnetic materials – like iron, nickel and cobalt – or alloys containing them (such as steel) are attracted to permanent magnets, even if they aren’t producing a magnetic field of their own. They are only attracted to the magnets, though, and they won’t be repelled unless they start producing a magnetic field of their own. Other materials, such as aluminum, wood and ceramics, aren’t attracted to magnets. A permanent magnet and electromagnet are quite different. Electromagnets involve electricity in a more obvious way and are essentially generated by the movement of electrons through a wire or electrical conductor. As with the creation of magnetic domains, the movement of electrons through a wire produces a magnetic field. The shape of the field depends on the direction in which the electrons are travelling – if you point the thumb of your right hand in the direction of the current, your fingers curl in the direction of the field. To produce a simple electromagnet, electrical wire is coiled around a central core, usually made of iron. When current flows through the wire, travelling in circles around the core, a magnetic field is produced, running along the central axis of the coil. This field is present regardless of whether or not you have a core, but with an iron core, the field aligns the domains in the ferromagnetic material and thereby gets stronger. When the flow of electricity is stopped, the charged electrons stop moving around the coil of wire, and the magnetic field disappears. What Are the Properties of an Electromagnet? Electromagnets and magnets have the same key properties. The distinction between a permanent magnet and an electromagnet is essentially one in how the field is created, not the properties of the field afterwards. So electromagnets still have two poles, still attract ferromagnetic materials, and still have poles that repel other like poles and attract unlike poles. The difference is that the moving charge in permanent magnets is created by the movement of electrons in atoms, whereas in electromagnets it is created by the movement of electrons as part of an electrical current. Electromagnets have many advantages, though. Because the magnetic field is produced by the current, its characteristics can be changed by changing the current. For example, increasing the current increases the strength of the magnetic field. Similarly, an alternating current (AC electricity) can be used to produce a constantly changing magnetic field, which can be used to induce a current in another conductor. For applications like magnetic cranes in metal scrap yards, the big advantage of electromagnets is that the field can be turned off with ease. If you picked a piece of scrap metal up with a large permanent magnet, removing it from the magnet would be quite a challenge! With an electromagnet, all you have to do is stop the flow of current and the scrap metal will drop. The laws of electromagnetism are described by Maxwell’s laws. These are written in the language of vector calculus and require some fairly complicated mathematics to use. However, the basics of the rules relating to magnetism can be understood without delving into the complicated mathematics. The first law relating to magnetism is called the “no monopole law.” This basically states that all magnets have two poles, and there will never be a magnet with a single pole. In other words, you can’t have a north pole of a magnet without a south pole, and vice-versa. The second law relating to magnetism is called Faraday’s law. This describes the process of induction, where a changing magnetic field (produced by an electromagnet with a varying current or by a moving permanent magnet) induces a voltage (and electric current) in a nearby conductor. The final law relating to magnetism is called the Ampere-Maxwell law, and this describes how a changing electric field produces a magnetic field. The strength of the field is related to the current passing through the area and the rate of change of the electric field (which is produced by electric charge carriers such as protons and electrons). This is the law you use to calculate a magnetic field in simpler cases, such as for a coil of wire or a long straight wire. What Is the Difference Between a Permanent Magnet and a Temporary Magnet? Johnson, Lee. "Properties of Magnets & Electromagnets." Sciencing, https://sciencing.com/properties-magnets-electromagnets-8052145.html. 16 November 2018. What Types of Metal are Attracted to Magnets? Why Is Iron the Best Core for an Electromagnet?